Shortly after Amazon's last Kindle Fire update, someone at Android Police made quick work of gaining root access for the Kindle Fire once again, releasing BurritoRoot, a tool that made rooting the Fire quick and (relatively) easy. Unfortunately, Amazon's latest update keeps BurritoRoot from doing its job , but fear not — as usual, the hackers behind this tool have already updated it and cracked 6.2.2 . The only visible improvement in this version is a full screen toggle button added to Amazon's Silk browser. Amazon's support documentation doesn't include information regarding 6.2.2 just yet, but when it does we'll be here to update with a full list of changes. If you'd like to manually grab the update, it can be downloaded here, courtesy of XDA user b63. 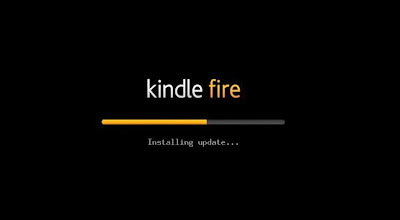 Just download the file, place it in your Fire's kindleupdates folder, and go to Settings > Device > Update your Kindle. Easy as that. If you like to root your device please go to this post.